White fat-soluble powder for coloring products such as chocolate, cocoa butter, almond paste, entremets, creams, macaron masses, etc. 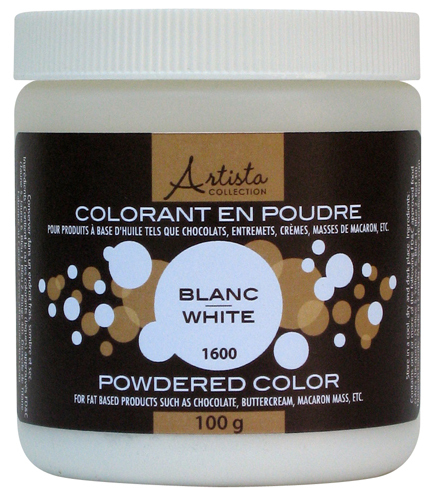 It is a high concentrated color that smoothly melts in fat or oil bases. 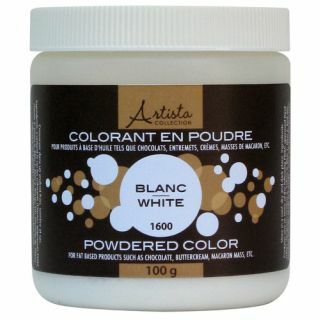 You can apply it directly on the product with a brush or add it into the fat mass to be colored. Weight: 100 grams (3.53 oz).